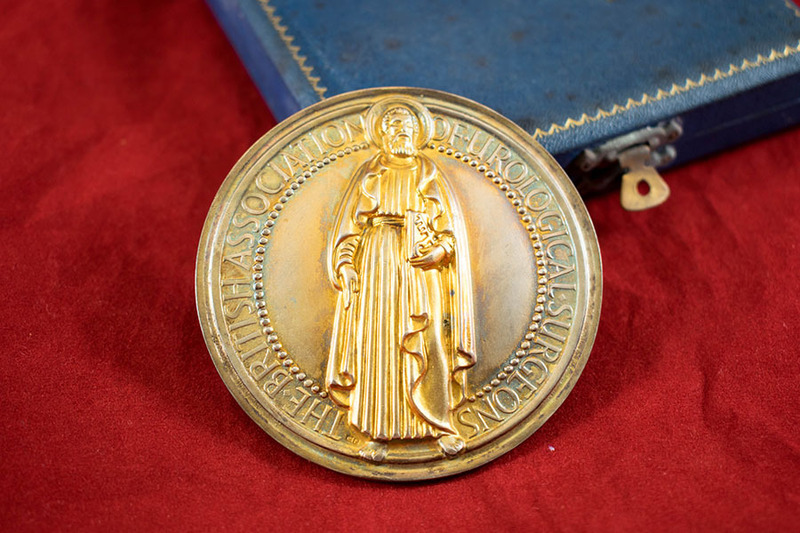 British Association of Urological Surgeons Medal, in blue case. 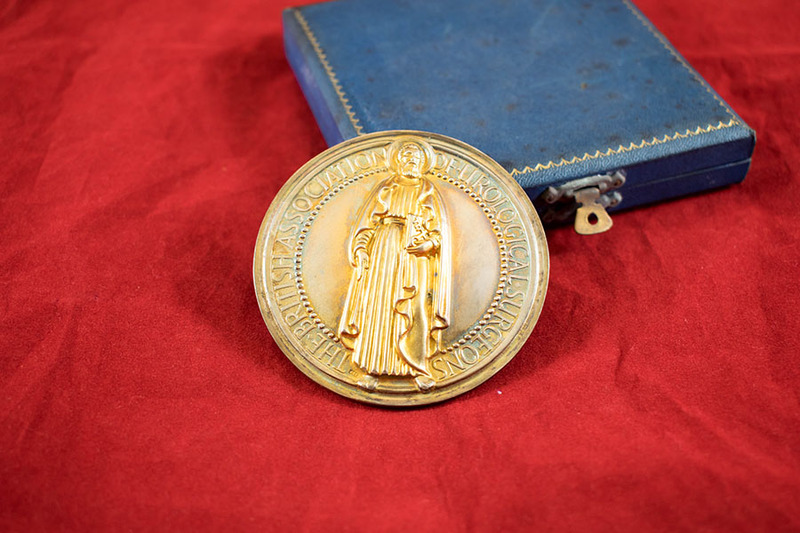 Belonged to Arthur Jacobs. 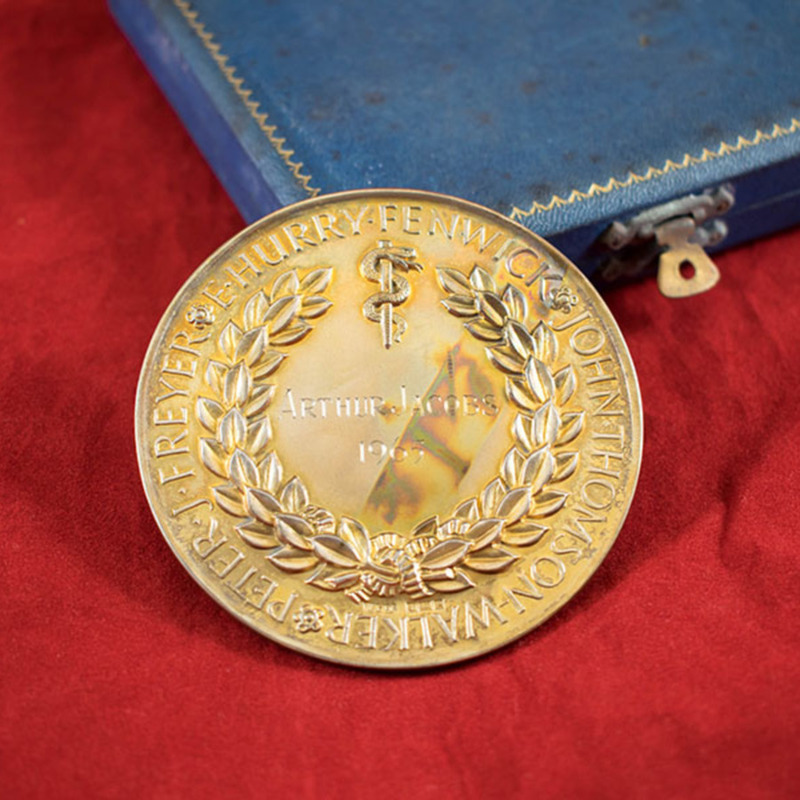 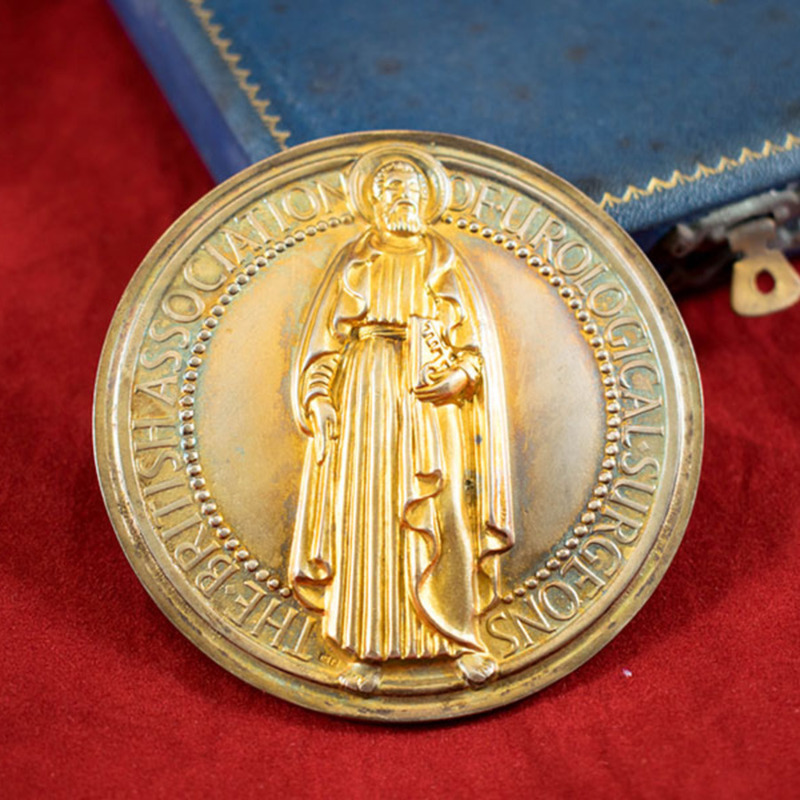 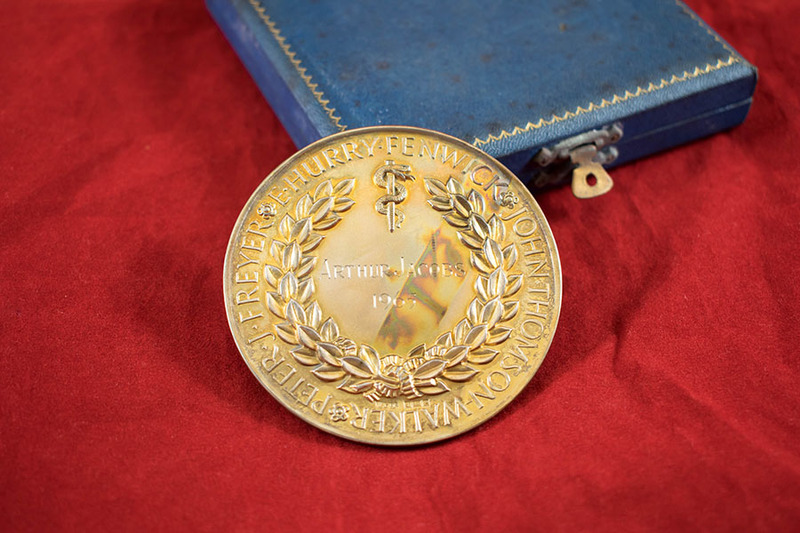 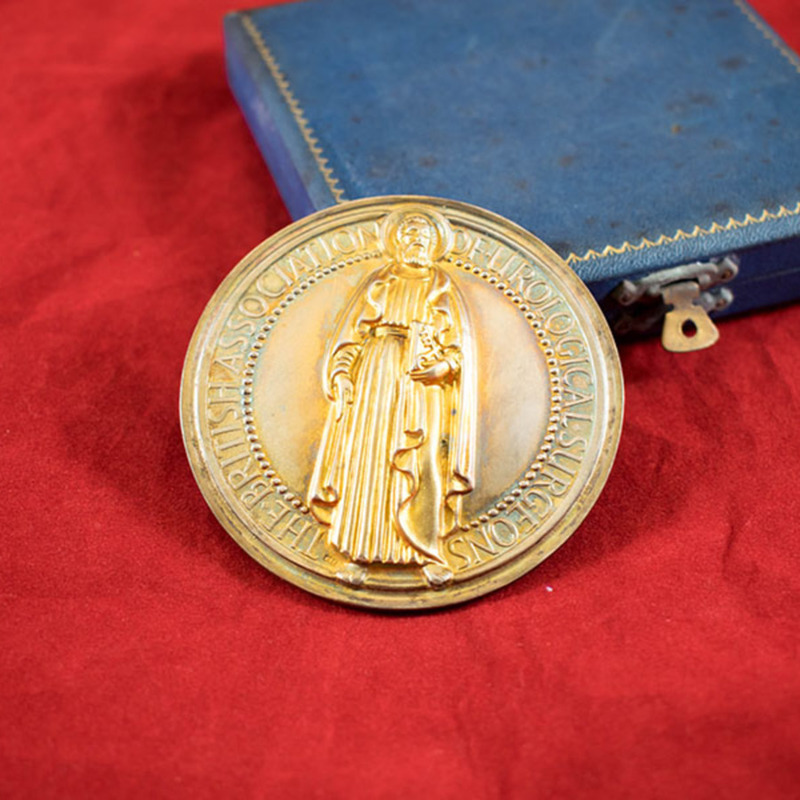 “British Association of Urological Surgeons Medal,” Heritage, accessed April 25, 2019, https://heritage.rcpsg.ac.uk/items/show/663.